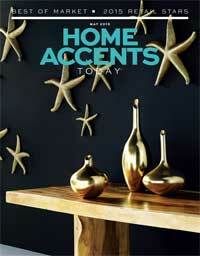 Dreaming of a tranquil late-summer vacation in a Scandinavian summer house by the sea like we are? Don't miss this article from dwell magazine about a family who drew inspiration from Case Study Houses and Mies van der Rohe's Barcelona Pavilion to build a dream getaway on Sweden's southwestern shore. If you'd like to stay closer to home but add an authentic piece of Danish or midcentury modern furniture to your own interior, stop by our showroom now through August 14th for great deals on select Showroom Samples and Floor Models. We've got a wall of Wishbone Chairs bearing the signature of Hans Wegner, and Egg, Swan, and Drop Chairs by Arne Jacobsen. 15% off plus free white glove delivery. Generation by Knoll, created in collaboration with Formway Design, is an extremely comfortable ergonomic office chair, now available to try in our showroom. Generation is highly customizable with a variety of Flex Net Back colors and KnollTextiles seat options. And if you've been pining for a Florence Knoll Executive Desk or Classic Credenza, now is a great time to save on an investment that will pay dividends in enduring style. We are delighted to feature the work of local craftsman Matt Booty of Enkle Designs. Enkle specializes in the design and construction of handmade furniture and accessories with modern Nordic aesthetics. Originally from Durban, South Africa, Matt lives and works in Apex alongside his father Christopher, a furniture restoration expert who apprenticed under a Christie's-affiliated master craftsman in London at the start of his career more than 40 years ago. Having grown up in the business, Matt excels in both design and woodworking. The Fiskebein table is beautiful as a desk, dining table, or conference table. 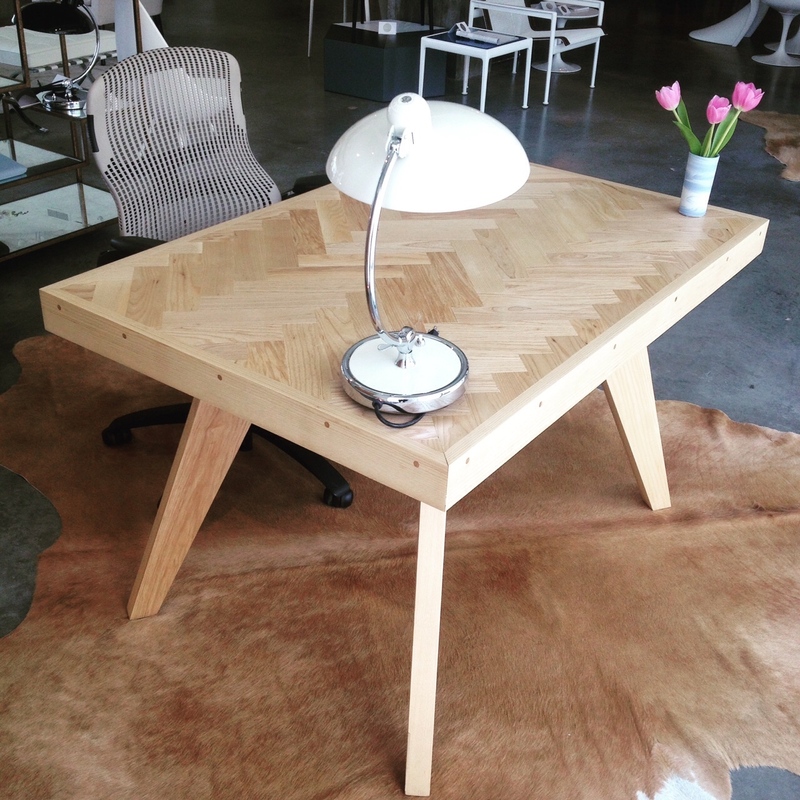 Come by our showroom to see the table in person, or contact us for custom inquiries. Visit the new Renzo Piano-designed Whitney Museum and walk the High Line. While you're in the Meatpacking district, don't miss Vitra's flagship showroom at 9th Ave and Gansevoort featuring new accessories by Alexander Girard and furniture from design stars around the world. In Midtown, drop by Knoll's showroom around the corner from MoMA on Avenue of the Americas and ask to see the 24 carat gold-plated edition of the Bertoia Diamond Chair, created in honor of the Bertoia Centennial this year. They may also have a few remaining pieces of Celia Bertoia's jewelry on hand for viewing, beautiful hand-forged designs. When you're in the Village, don't miss Carl Hansen & Son and Fritz Hansen's showrooms, on Hudson and Wooster streets respectively, both impeccably styled and curated with the most beautiful collections of Danish furniture. Last week we had a great time at NC Modernist's annual Matsumoto Awards Ceremony, hosted by McConnell Studios in Raleigh. Congratulations to Cube Design Research, the top juried prize winner, and Kersting Architecture, people's choice award winner, and all the other Matsumoto winners and nominees! 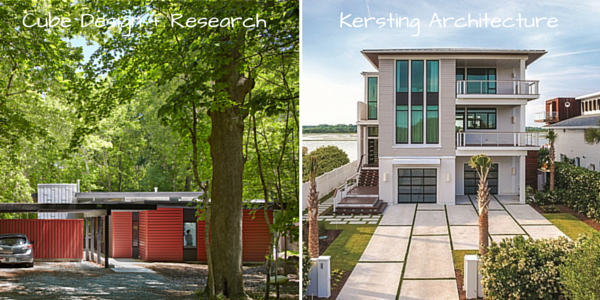 We are fortunate to have such bright architectural talent creating these beautiful homes here in North Carolina. We enjoyed sponsoring Modernist Musical Chairs again this year at the ceremony, offering the opportunity to try pieces by Bertoia, Jacobsen, Adjaye, Wegner, Morrison, Bouroullecs, and more. 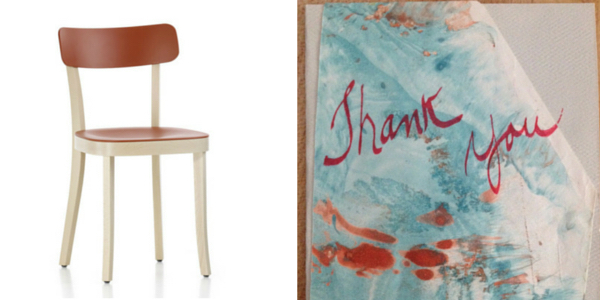 This year we gave away a Basel Chair by Jasper Morrison for Vitra to a most gracious winner, an artist and poet who sent us this beautiful hand-painted thank you note. In other news, we were honored to be selected for Home Accents Today's 2015 Retail Rising Stars Award for creative excellence. Special thanks to retail editor Susan Dickenson for your recognition and support.